Winston B. Crisp ’92 (JD), former vice chancellor for student affairs, will be the featured speaker at the Winter Commencement ceremony Dec. 16. Crisp joined student affairs at UNC in 2005 as assistant vice chancellor. In 2010, he was named vice chancellor and remained in that role until this October, when he retired from the University after 26 years of service. In his time at Carolina, Crisp became an integral part of the student experience, serving thousands of students and families. In the 2016-17 academic year, student affairs conducted more than 1,200 workshops and events, employed nearly 1,500 students and supported approximately 780 student organizations. In March, Crisp led the effort to convene a mental health task force at the University to assess the scope of mental health care needs for students and to provide recommendations to the administration and Board of Trustees about policies and programs related to mental health care. Crisp also co-chaired the Chancellor’s Task Force on UNC-Chapel Hill History, working with colleagues to tell the full, complete and accurate history of the University. A 1989 graduate of Johnson C. Smith University in Charlotte, Crisp arrived at UNC that same year to attend law school. Upon graduation, he became the law school’s first full-time assistant dean for student affairs and the first associate dean for student services. In those positions, he helped strengthen coordination among the academic program, financial management, outreach and student support areas. 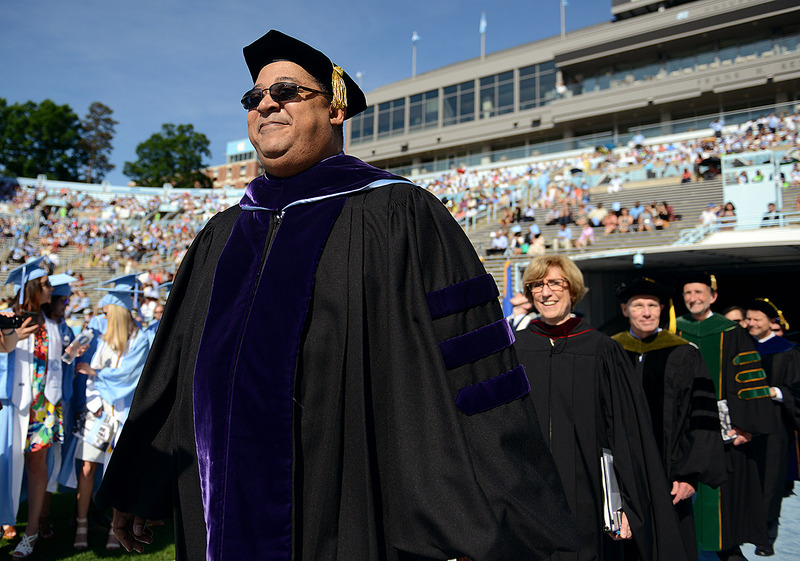 Winter Commencement will be at 2 p.m. Sunday, Dec. 16, in the Dean E. Smith Center.